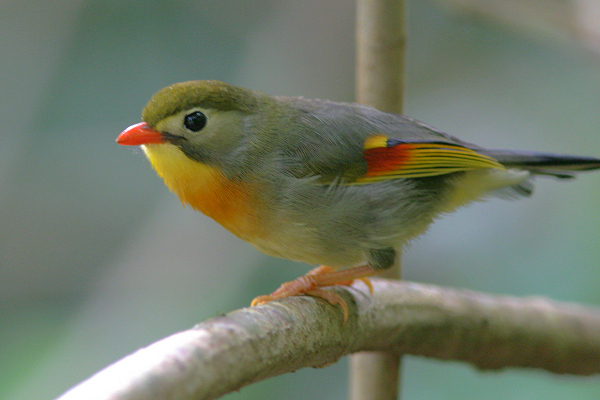 Red-Billed Leiothrix, Leiothrix Iuten are found in the wet forests at higher altitudes and in the dry forest regions of the Saddle Region of the Big Island. Flocks of Leiothrix’s have been known to fly up to elevations of 13,500 feet for a short period of time. They favor areas with at least 40 inches of rain. They have become more rare in the lower altitudes and have a beautiful melodious sound and a hard scolding chatter and low call note. 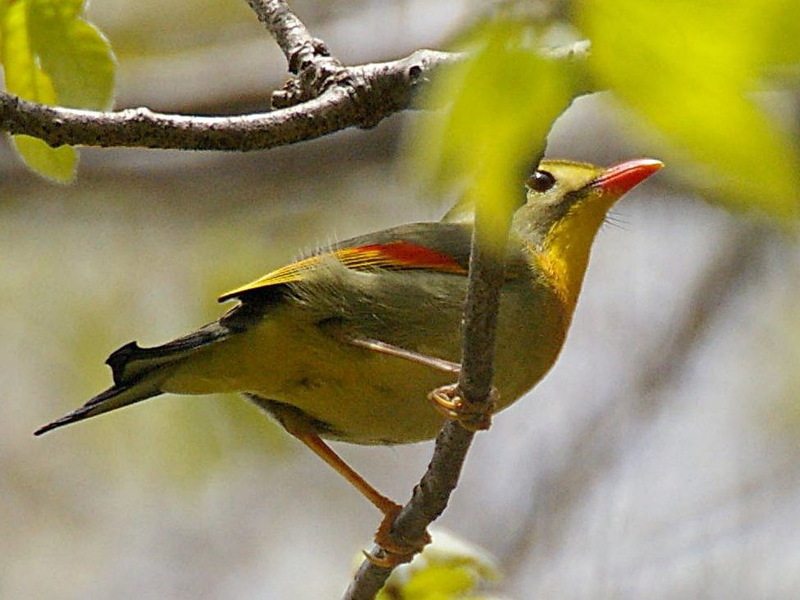 They are about five inches with yellow throat, yellow to orange breast, olive green on the upper, under the tail are yellowish green. The bill is orange-red with legs and feet are greenish red. They are hard to find. They eat fruit seeds, strawberry guava, thimble berry, and sometimes overripe papaya. Their diet also includes: larval and adult butterflies, moths, millipedes, and spiders. and flowers. They nest close to the ground in bushes and small trees.